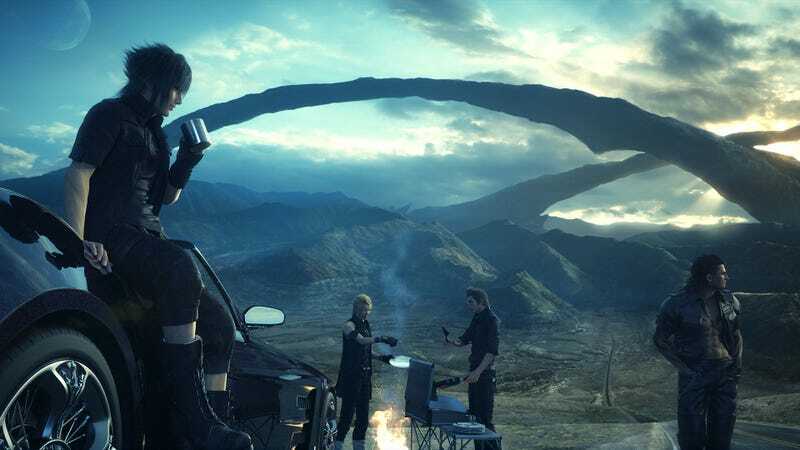 We finally (heh) have FFXV’s first week Japanese sales number: 690,471 copies sold at retail. Let’s see how it compares to previous FF debuts. But how do these numbers stack up historically? In comparison, during Final Fantasy XIII’s first week on sale, the game sold 1,516,532 copies at Japanese retail. As My Game News Flash points out, Final Fantasy XII sold 1.8 million copies at launch, Final Fantasy X sold 1.7 million, and Final Fantasy VII sold 2.03 million. It’s interesting to note that Final Fantasy VIII sold 2.5 million. Update 12/8/16 - 6:30am: Famitsu’s sales numbers have Final Fantasy XV’s first week PS4 retail sales at 716,649 copies, which is higher than Media Create’s numbers. Famitsu added that Japanese retailers have sold between 60 to 80 percent of their Final Fantasy XV stock. The latest FF debut might be down historically, but it takes the top spot in the Japanese sales chart, while Pokemon Sun and Moon, which have been out a while, come in at second with 223,051 copies sold. Retail sales are different these days, and people are also buying digital versions. Still, it’s surprising not to see it crack a million in Japan.